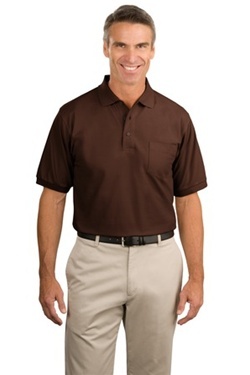 This silky, easy care sport shirt features a poly/cotton blend that is silky soft and supple for a comfortable fit with minimal shrinkage. Easy to care for and highly wrinkle resistant thanks to a 65/35 poly cotton blend construction. These 5 oz. lightweight pique knit sport shirts are perfect for anyone. Metal buttons with a flat knit collar and cuffs, side vents and double needle stitched armholes and bottom hem. It is available in up to 6XL in a variety of colors.